The Express Rail Link connects Hong Kong to the southern Chinese city of Guangzhou in 40 minutes – less than half the time taken by older trains. Critics say this violates Hong Kong’s freedoms and mini-constitution. The rail link was launched at a ceremony on Saturday, with one local lawmaker praising the first bullet train journey to Guangzhou South as “very quiet, like I was on a plane”. The rail link will open to the public on Sunday – and also boost train connections with the rest of mainland China, including the capital Beijing. However, pro-democracy legislators boycotted the opening ceremony, and staged a protest outside the station, saying the rail link undermines Hong Kong’s independent legal system. Hong Kong, a former British colony, was handed back to China in 1997, under an agreement that the territory would enjoy “a high degree of autonomy, except in foreign and defence affairs”, for 50 years. 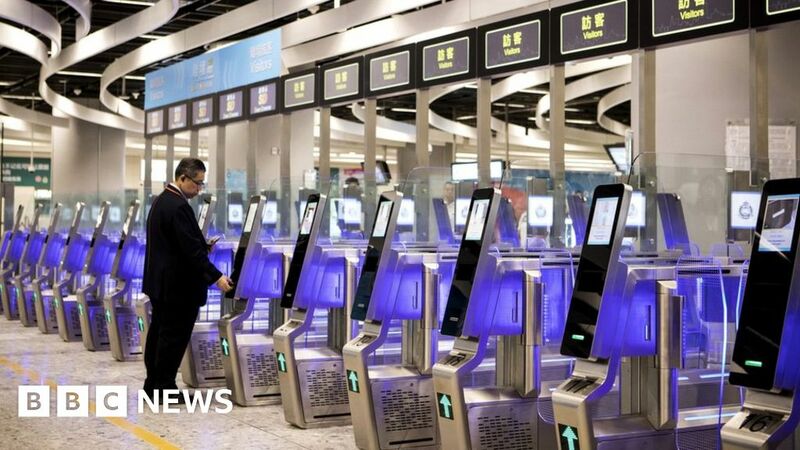 China’s top legislative body has said the arrangement does not undermine Hong Kong’s autonomy, and its proponents argue it streamlines the immigration process. However, legal experts from the Hong Kong Bar Association have criticised the arrangement, saying it contravenes Hong Kong’s mini-constitution. The rail link project has also been criticised for being delayed by three years, and going over budget by close to $ 3bn (£2bn).